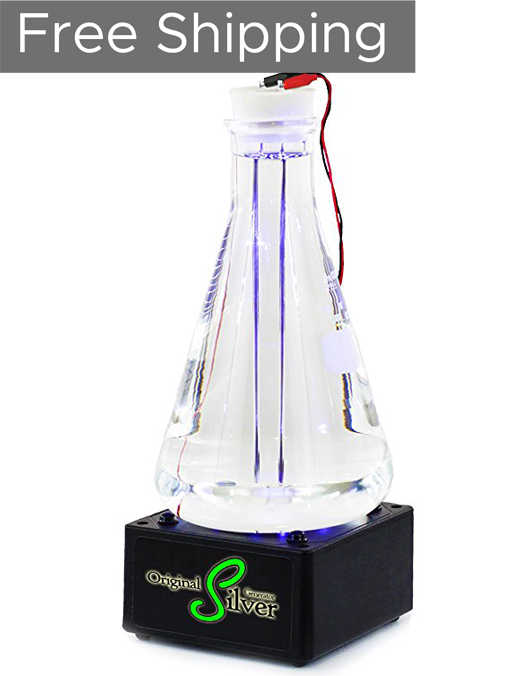 This generator can produce 1100mL or 37.2oz of 10ppm or 20ppm colloidal silver in 60 to 90 minutes respectively. This generator can make solutions upwards of 10.5pH. 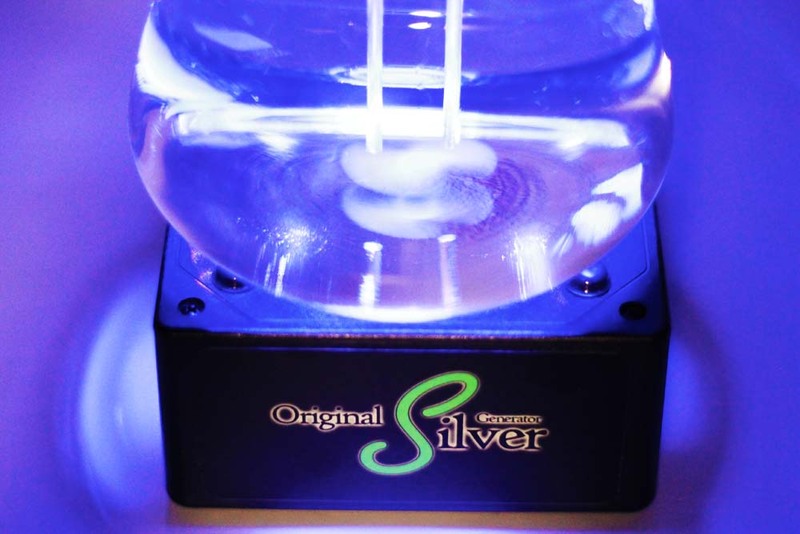 We understand that quality is a big part of a colloidal silver generator purchase. 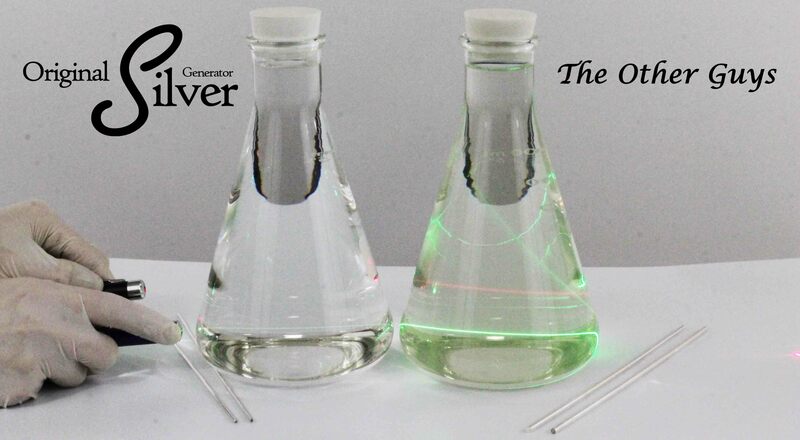 We have done thorough testing on our generators and the silver solution produced by our generators. In our real world testing, we took one of our generators and subjected it to generating 1000+ batches back to back with zero failures and an outstanding silver solution produced every time. With average usage, that comes to over 83 years of generating silver worry free! Here at Original Silver Generator we hand build our generators using skilled and qualified technicians. All of our generators go through rigorous testing during the assembly process. These test results and checklists are included in your package order. In our research the X20 is the fastest generator on the market for the quality of solution created. It is programmed to set it and forget it, turning off the lighting, circuitry and stirrer when the batch is complete. We are not interested in milking you for money! Our generator is setup to take just about any type of reducing agent. We do not sell falsely proprietary reducing agents that would require you to repeatedly come back to use far into the future. In our research it is safe to say that we produce the most advanced generators on the market. Our generators have anti-short technology that automatically detects a short circuit and kicks the generator into â€˜Safe Modeâ€™ until the short is fixed. We have also included a secondary stirring function on the x20 that will automatically detect when the electrode connectors have been removed. 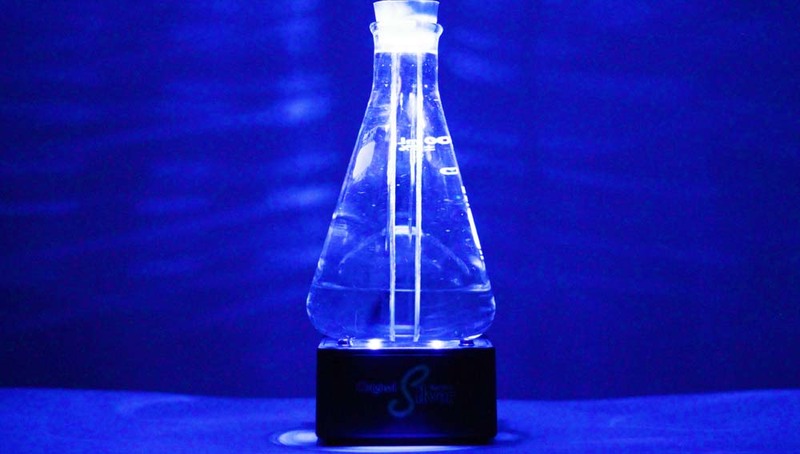 This secondary stirring function creates a high powered vortex to help thoroughly mix your solution. These types of safety measures are not present on other companies generators! 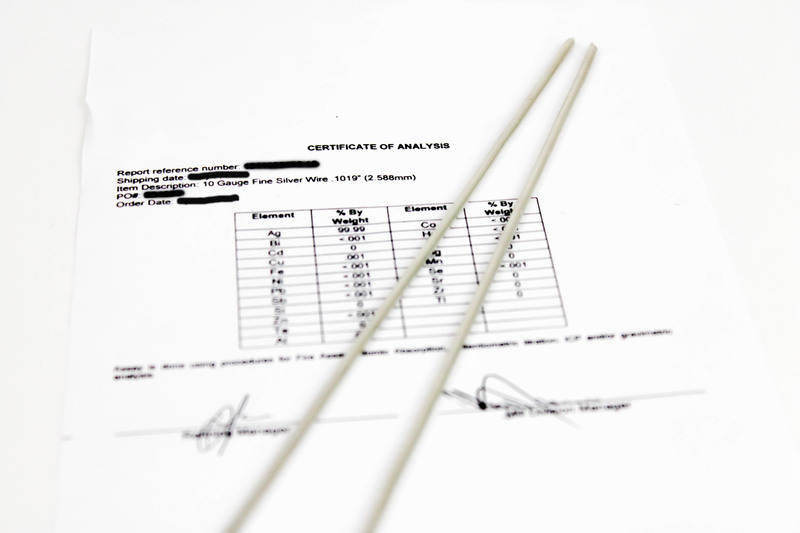 We only use 3rd party 9999 certified silver rods, it is very important that the silver be as pure as possible to ensure the best possible silver solution. All of our silver ships with the certifications showing that our silver is 99.99% pure silver. Don't make colloidal silver with anything less! To put it simply, we are FASTER, generator a BETTER product, and are much LESS EXPENSIVE than the 'other guy'! To keep our generator kits from being shipped with possible expired items and in an effort to make shipping across boards hassle free WE DO NOT INCLUDE THE REDUCING AGENT. We recommend capsuled 100% Grape Seed or Cinnamon Extract as a reducing agent. These can be purchased at your local store for everyday low prices. Please have this item and 2x AAA+ batteries ready before starting the generator if you wish to create colloidal silver. Please click here to read the details of the warranty. who can afford to go to the ER noadays. Great for infections and cleaning. Does it cure cancer? greatprice and you get free shipping and ships in 24hrs... this is crazy. I heard silver lungs takes a month to ship and you have to play like $50 for an oversided foam filled box. Hatts off guys!!! My friend got one of these, she uses the colloidal silver to kill badd breath. She is a klutz and drops it the box all the time… still wrks great! I have got nothing bad to say here. I expected a professional looking generator and that is what I got. I did a practice batch first to get the hang of it. Just followed the manual and it was pretty easy. Highly recommended.